Convenient 2-gauge console with pressure and depth gauge on the front. 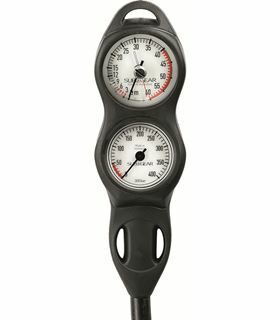 Pressure gauge: 0 to 6000 psi analog pressure gauge. Available in Metric and Imperial.